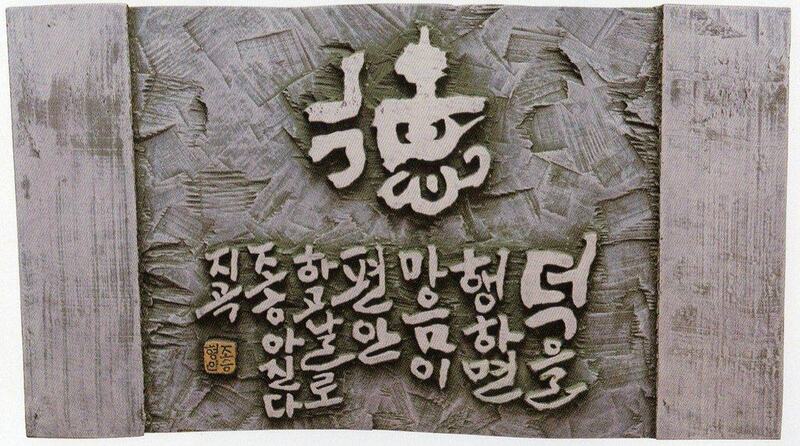 Korea has a long calligraphy history, like China and Japan. In ancient times, all countries (China, Japan and Korea) had been writing calligraphy with Chinese characters. During its long history, Japanese created new original characters called “Hiragana” and “Katakana”. Korea also created new characters called “Hangul” in the 15th century. The 4th Emperor of the South Korean dynasty, Sejong (世宗) (1397-1450) gathered famous scholars together to create original Korean characters. On the 9th of October,1446, the characters were introduced and promoted widely to the population. 徳（virtue）Cho explains “virtue” in Hangul under Chinese Character. Before promulgating Hangul, Korean had used Chinese characters which differ from the Korean language system. Only wealthy people such as high level officials could read and write Chinese characters. The general public could not either read or write them. Sejong and the scholars of the day created a phonogram system which is easy to learn, easy to write and to read. 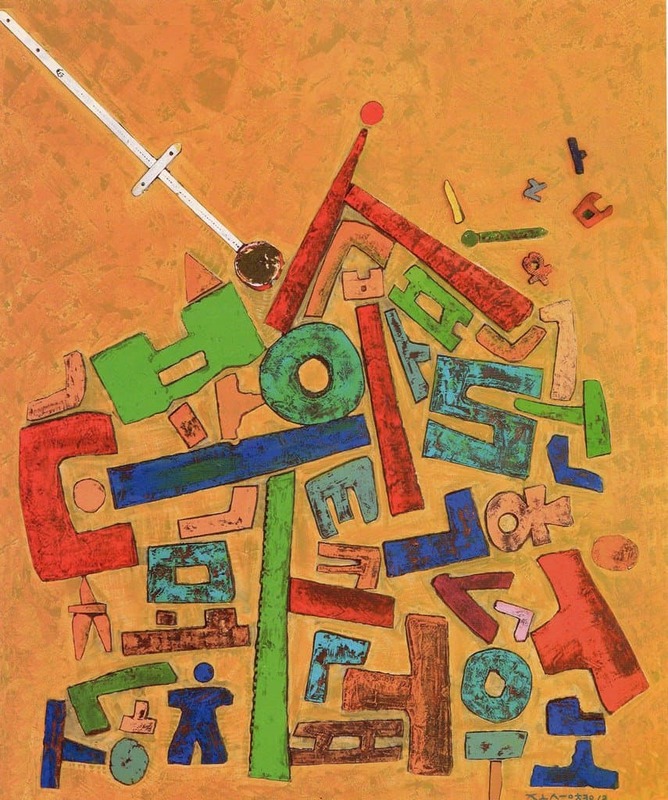 Cho explains that meaning in Hangul on center of this work. But during the South Korean Sejong dynasty, Koreans made light of Hangul because they thought it was not important. The Last emperor Gojong (高宗) obeyed the order of the native script of Hangul. The general public began to use Hangul with Chinese characters gradually. In the 1980s, educational institutions began recommending Hangul, and Hangul became the center of Korean life. In daily life, all Koreans use Hangul. But in the art world of calligraphy, most artists used Chinese character from ancient time to the present. Even now, 70 percent of calligraphy works are written with Chinese characters. Some people try collaborations between Hangul and Chinese characters. I would like to introduce an artist who makes a collaboration art using both Hangul and Chinese. The artist’s name is Cho Seung Hyeong. ( 조 승 형 趙承衡) He has been learning Chinese Calligraphy since childhood. 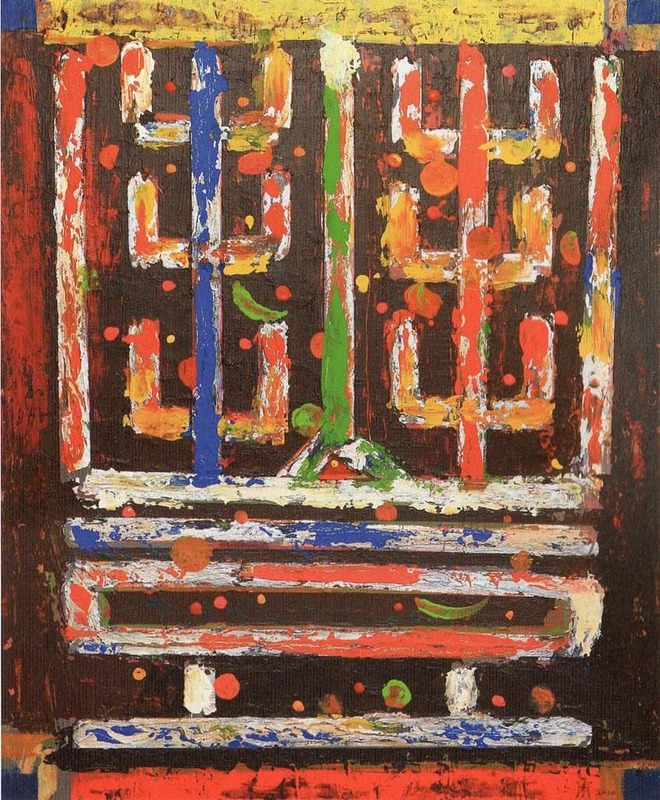 His interest was not only calligraphy, he was interested in other “content art”, so he entered the Daeru Arts University content art Department. Taking advantage of his expertise in art making, he has been making many types of calligraphy art using different medium with oil paint or wood, etc. 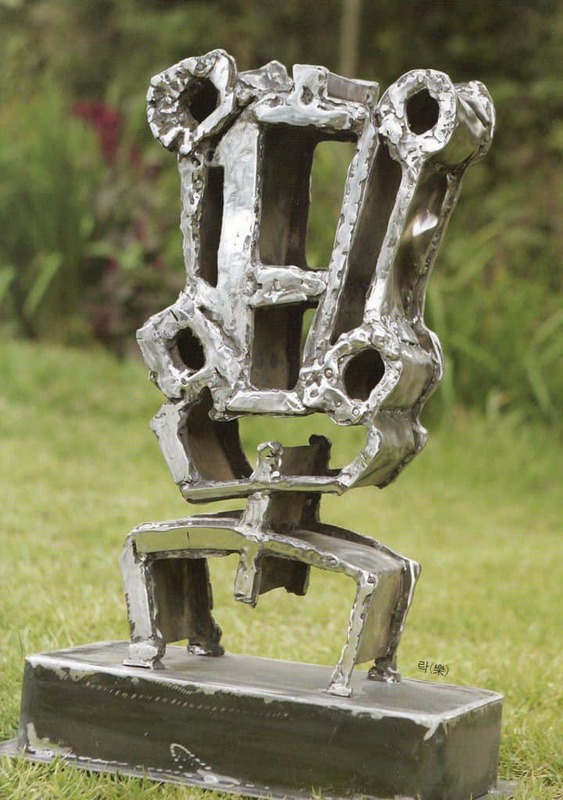 While traditionally calligraphy is a two dimensional art, he makes three‐dimensional arts in the form of sculptures. To date, he has had five solo exhibitions, has been invited to exhibit with many art associations and received many prizes. From a large number of works, I have chosen some extremely fascinating work to show to you. ← How Do You Price Yourself?